The first Yangtze River Delta International Cultural Industries Expo, co-hosted by Shanghai and Jiangsu, Anhui and Zhejiang provinces, was held in Shanghai Exhibition Center from Nov 29 to Dec 2.It is also the first expo in China with cultural industries from the world-class mega-cities as the main participants.At the expo, the group ‘s U Shared Bookstore ,which subverts the traditional sales model of the book industry,attracted a large number of visitors to experience. 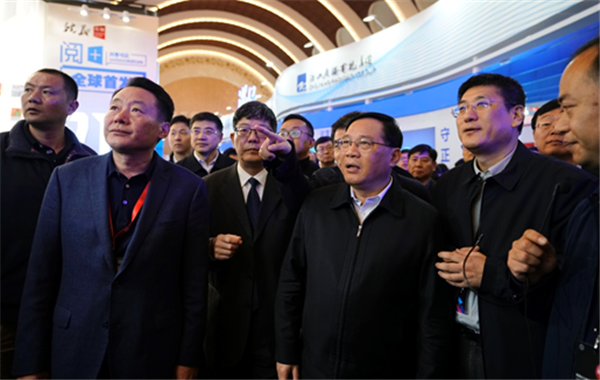 Li Qiang, member of the Political Bureau of the CPC Central Committee and Secretary of the Shanghai Municipal Committee, and Sun Zhijun, vice minister of the Publicity Department of the CPC Central Committee, accompanied by Yu Aihua, minister of Anhui Provincial Party Committee Publicity Department,visited the group exhibition booth . During the exposition, Cao Jie, secretary and chairman of the group, attended the keynote forum of the Cultural Exposition and attended the Symposium of the top 30 cultural enterprises in China. 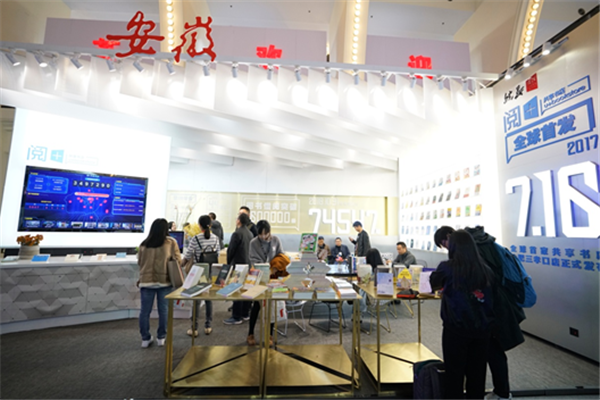 In front of the group booth, Secretary Li Qiang inquired carefully about the operating mode of the shared bookstore and praised the group's first shared bookstore as a major innovation in the cultural industry reform. The first Yangtze River Delta Cultural Expo is a concentrated demonstration of the innovative vitality, international influence and overall strength of the cultural industry in the Yangtze River Delta. Through the promotion of shared bookstores, Anhui Xinhua Distribution Group has fully demonstrated the new concept, new momentum and new model of the development of cultural industry, which has received great attention from all walks of life.Since the launch of the first shared bookstore on July 16, 2017, the group has opened 44 stores in Anhui, Beijing, Shanghai and other places.These stores are enhancing people's sense of gain and happiness with high-quality cultural foundation. The four-day expo attracted 330 enterprises from the Yangtze River Delta region, including 63 from Anhui province.This is also the first time that Anhui Province has presented the largest number of exhibitors, the finest content of science and technology and the richest form of exhibitions since the Shenzhen Cultural Expo.